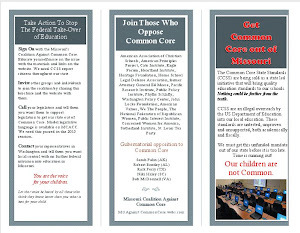 Missouri Education Watchdog: Common Core Web Vote. Should Governor Scott Issue Executive Order to Address Controversy? Common Core Web Vote. Should Governor Scott Issue Executive Order to Address Controversy? 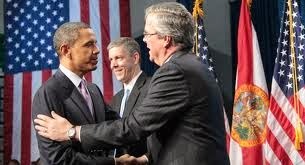 Is this the beginning of the end of this trio's blueprint for education? TAMPA -- Florida Gov. 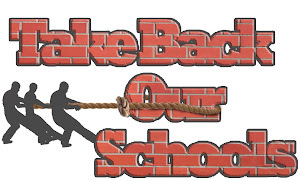 Rick Scott is considering an executive order to address growing controversy over the Common Core State Standards. Scott provided few details Wednesday, but hinted that the order would involve the new tests aligned to the education standards. Florida was planning to use national exams created by the Partnership for Assessment of Readiness for College and Careers, or PARCC. But Senate President Don Gaetz and House Speaker Will Weatherford have said Florida should develop its own plan for testing. Read more here. You may also register your vote. It's too bad there the governor isn't considering an outright ban on further implementation of the standards. WEB VOTE Gov. Rick Scott first backed Common Core education standards, approved by 45 states including Florida, but now says he might use an executive order to change course. Is he right? Your vote has been counted, thank you for voting. He appeared at the National Press Club in support of Louisiana Gov. Bobby Jindal, who decried a U.S. Department of Justice threat against his state’s school voucher program. Bush’s comments came as backlash to the Common Core standards has swelled, putting him in an awkward spot as a number of Republicans, Sen. Marco Rubio included, have joined the opposition. Bush did not mask frustration Wednesday, saying higher standards need to be embraced. He went on: “The fight about Common Core is political. Meanwhile, back at the ranch, we have huge swaths of the next generation of Americans that can’t calculate math. They can’t read. Their expectations in their own lives are way too low. And we’re not going to be able to sustain this extraordinarily exceptional country unless we challenge every basic assumption on how we do things. How many fallacies can you spot in Jeb Bush's rhetoric? This not so much political as it is a pushback on elites directing/developing public education. 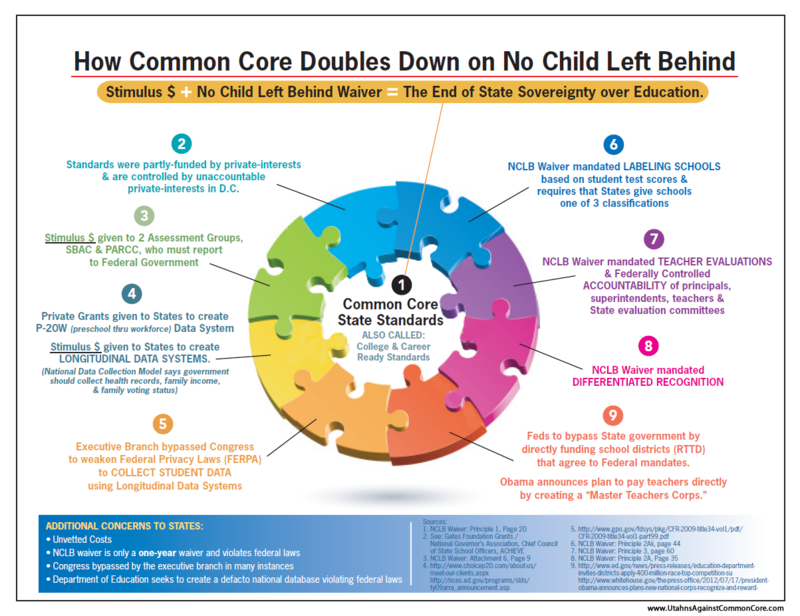 This new talking point of the CCSS fight being political is nonsense.